Copyright © 2000 Rachel Ivanyi, AFC. This image is available for reuse purchase. 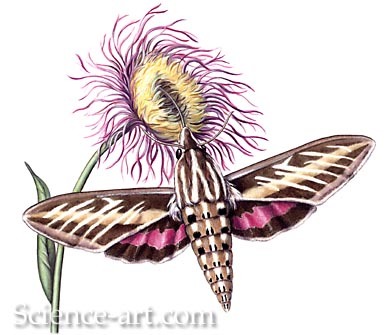 Rachel Ivanyi, AFC DescriptionWhite-lined Sphinx Moth and Basketflower Thistle.